Opening weekend for the Fayette County Museum is this Saturday and Sunday from 1-4 p.m. This weekend, Saturday and Sunday, will be opening weekend for the Fayette County Museum. The doors first opened 54 years ago and has been open to the public every year since. The Fayette County Museum is owned and operated by the Fayette County Historical Society. Led by local newsman B. E. Kelley, a handful of like-minded individuals slowly gathered artifacts depicting the history of Fayette County, its people and their stories. History doesn’t happen only at other places — it happens here too: historic fires, hangings, tornadoes, inventions, riots — it has all happened here and it’s at your fingertips courtesy of the local Historical Society. The hours April 6 and 7 are 1-4 p.m. There is no charge to tour the 14 room mansion nor the carriage house. The docents are the Society’s Board of Trustees and additional volunteers. This year’s exhibit will be the history of the county’s townships. One of the highlights for this year will be the return of the Ladies’ Tea to be held from 2-4 p.m. on Saturday, June 8 on the east lawn. Tickets are on sale to Society members until the end of April, at which time the sale will then be open to the public. For more information about the museum or its activities, please call the museum office, 740-335-2953, and leave a message. 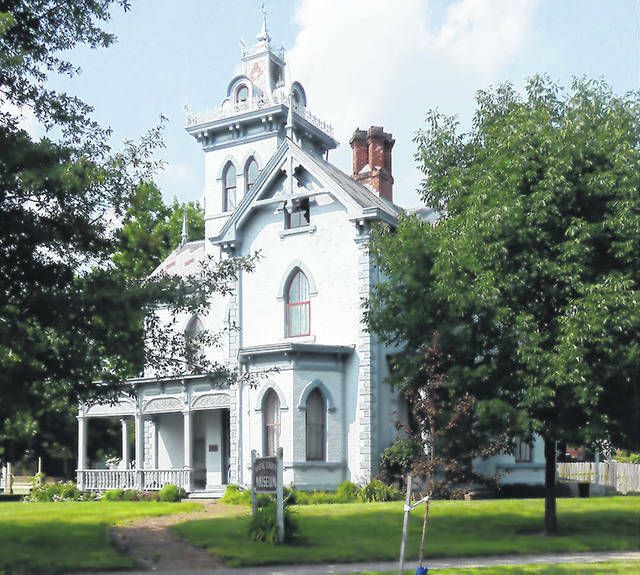 https://www.recordherald.com/wp-content/uploads/sites/27/2019/04/web1_Museum-2014.jpgOpening weekend for the Fayette County Museum is this Saturday and Sunday from 1-4 p.m.